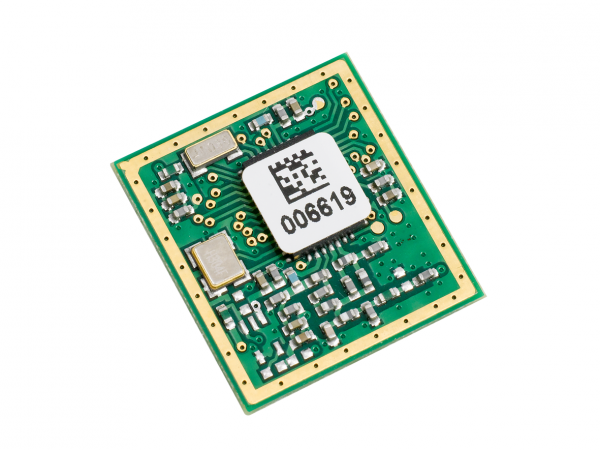 Product information "iM871A - Wireless M-Bus Module"
The iM871A Wireless M-Bus module offers a cost-effective RF solution for smart metering applications connecting water, heat, electricity and gas meters with data concentrators in the 868 MHz frequency band. The module supports all major unidirectional and bidirectional wireless M-Bus modes (S1, S2, T1, T2 and R2) in addition to all tolerance specifications. The iM871A is pre-qualified according to ETSI EN 300 220 and is fully compliant to the EN 13757-4 standard. With its link budget of up to 120 dB when operating in R2 mode, the iM871A is especially addressing wireless communication requirements in challenging environments inside residential and commercial buildings. The module has an exceptionally small footprint (16.8 mm x 18.6 mm), comes equipped with a serial interface as well as analog and digital inputs and outputs to accommodate interfaces with a customer’s system. With its different ultra low power sleep modes (e.g. deep sleep < 50nA), the iM871A is well-suited for applications requiring long battery life. Related links to "iM871A - Wireless M-Bus Module"
Customer evaluation for "iM871A - Wireless M-Bus Module"